A couple of days ago, I saw a message on my phone. The doctor's surgery had called with a message from the hospital, I was to contact the surgery for a chat, but it was nothing serious for me to be concerned about. There is a psychology to delivering news pertaining to health, and as long as it does not appear to be a life-threatening emergency requiring immediate action, they do well to allay your fears. So, I called the surgery yesterday morning, where the conversation revolved around calling in to see the doctor for another few check-ups but for the fact that we could not find suitable scheduling since I spent the weekdays working in Scotland. The alternative was to have a quick chat to the doctor and see how things go from there. A few minutes later, the doctor picked up the phone and the conversation pertained to the results of the blood tests from the HAND analysis I did last month. Then, the consultant ordered a battery of blood work to eliminate possible and manageable causes of my perceived short-term memory issues and attendant matters. Apparently, I have Folic Acid Deficiency Anaemia, Folic Acid which is Vitamin B9 is also somewhat related to Vitamin B12. These two vitamins are essential to forming red blood cells, they help nerves function properly, Folic Acid is also essential in forming genetic material in every body cell, hence enabling perfect replication. Now, my knowledge of the use of Folic Acid supplements was for terms of pregnancy and though I have never seen my own period since before I ever knew what they were, I did wonder. However, the deficiency explained the tiredness, insomnia, the occasional lethargy and the forgetfulness that I had highly compensated for through aide memoires, double-checking and reticence in proclaiming logical conclusions at work. That the cause could be dietary was also worrisome. I am working away from home and hence have no luxury of home cooking. 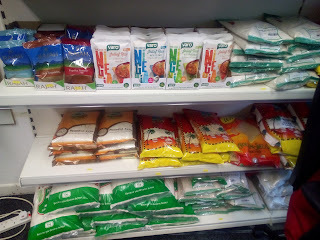 To make amends, I have to introduce cereals fortified with vitamins into my diet and I will consider supplements, yet I must be careful at over 50 not to run in excess of my daily allowance. In three months we'll have some bloodwork done to ascertain if the deficiency has been remediated. I may not naturally lactate, but I must folate to keep well. I have been thinking about this for a while, aspects of the heart and mind in relation to people I have tried to love and build some sort of relationship with. There are times I have wondered about why finding people with whom to have lasting, rewarding, happy and beautiful relationships has been difficult, if not impossible. Do I attract a certain kind of personality with flaws that are beyond tending, caring and nurturing to the point of individual self-fulfilment and mutual benefit? I am a hopeless romantic, quick to invest time, means, resource, heart and soul in people I find attractive. Many of whom are in essence really beautiful people until some situation exposes the baggage, the insecurities, the self-loathing, the illnesses and much else. Yet, I do have great capacity to manage any of those issues, my arms are wide open to embrace, my ears ready to listen, my heart open to accommodate and in all, it seems to lead to heartbreak. I live by the view that an open hand is one that is ready to receive too. I appreciate that I have had such experiences in life that many would never encounter regardless of whatever they achieve. I make no apology for the fact that I have had a life of opportunity, of privilege, of class, of access and much else. That I manage simplicity and sophistication with ease is just part of my make-up and I do not intend to pay some vicarious homage to any sort of asceticism of socialist equality when even looking at my hands, I can see that my fingers are not equal, but of different lengths to make my hands grip and grasp effectively. I love people for whom they are and my somewhat strong personality would tend to lift anyone I have within my purview up, it does not preclude me willingness to try new experiences, even as there are standards that one maintains simply to redound quality to the joy of living. My search for useful and true love needs to move out of the cohort of those who are too engrossed in battling their own demons to see the possibility of good things ahead of them. The few I have loved who have turned out to be unlovable, the complimented that cannot countenance honest praise because their lives are infused on criticism and excoriation. It has forced me to hold back when there is a lot more I can do. One would hate to think there is a seething jealousy that inhibits them from showing and receiving affection, it is part of what I have seen. In much that I have been taken advantage of, I cannot condemn myself in the things that I have allowed. I offer love unconditionally and give everyone the chance to be themselves and even a better version of themselves, because that is how I was brought up. To give everyone the benefit of the doubt, think the best of everyone, give them all the chances to find the best of themselves, help them with every resource I have at my disposal to get beyond themselves. What it does for me is radical and amazing, it gives me stability and the platform from which to improve myself too. However, back to the original thought, I have been wasting my time with men who do not deserve me. I have to return to loving myself the more and in the process begin to understand that I deserve better than casting the pearls of my heart and soul to be trampled on by unlovable swine. I stepped out of my hotel this evening to go for a meal and thought I’ll walk to a group of restaurants around London Road and Leith Walk in Edinburgh. However, instead of walking up London Road, I had a sense of adventure to go down Easter Road where I had noted from Google Maps that an Italian Restaurant might be open. Half a mile down Easter Road, the restaurant was closed and I am beginning to realise that some restaurants and takeaways are closed on Mondays. Unsure of what else to do, I decided to take a side road that I thought would get me to Leith Walk even if my bearings thought I was on the wrong path, I did end up on Leith Walk, one of the longest stretches of road in Edinburgh that seems to have so many names, you better not look at the road signs. I crossed the road and walked upwards into town as my eyes caught the sign of an African goods shop, my curiosity got the better of me as the two ladies in the shop beckoned to me, and so I yielded and walked into the shop. 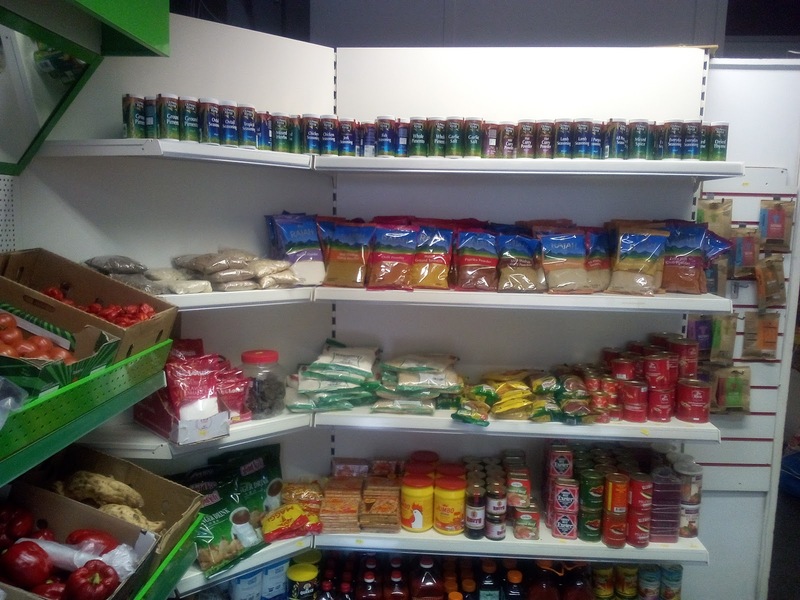 All indications were they thought I was from Eastern Nigeria, but I introduced myself differently as my eyes darted around the stocked shelves to see familiar goods and wares that excite the West African palate. 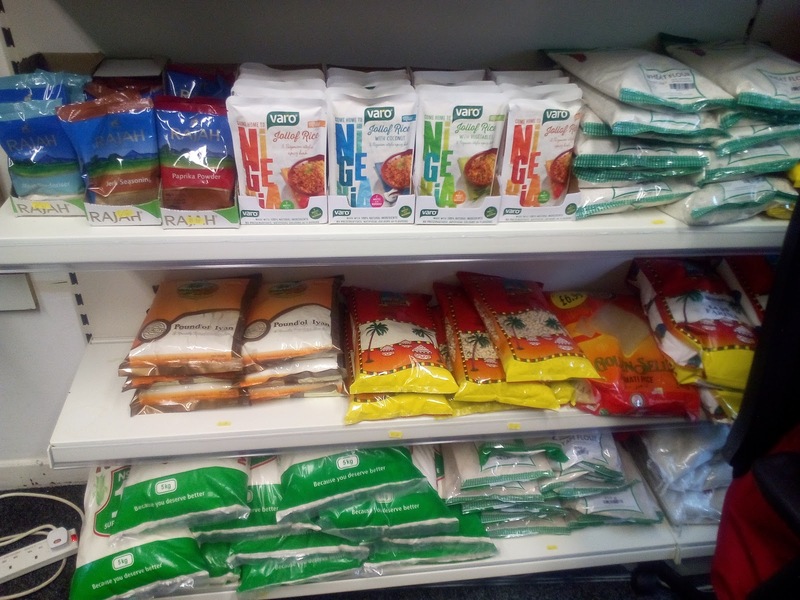 I could not decide what I wanted when I was informed they had frozen jollof rice and stew, and if I had access to a microwave oven, that would do just fine. 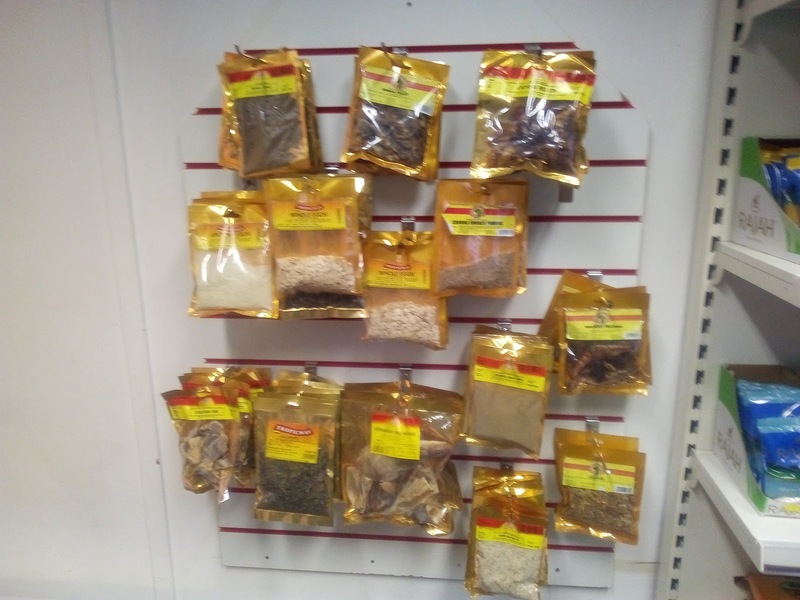 MaDeb African Shop had only been open two months and whilst for me it was a chance discovery, it might well be the only purveyor of goods and wares the West Africans would only be too familiar with. The African Flavour Restaurant that I wrote about over a month ago had closed, it was a bad business that failed to take advantage of the monopoly it had to serve a particular clientele and that is just a shame. 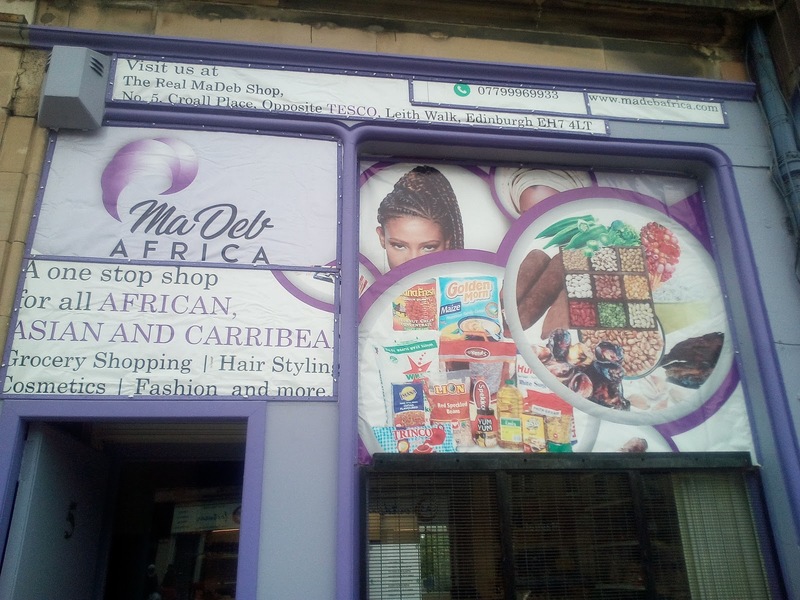 The list of things to get from Madeb African Shop is almost inexhaustible, the shop uses three areas, the main shop, the back where perishable goods are kept and refrigerated and the basement with cosmetics and hair products. In the main shop, there are spices, flours, canned foods, dried and smoked fish, Agege bread, ingredients to various stews as Egusi, Ogbono, bitter leaf, fermented peas (iru), mint leaves (efinrin), palm oil, kola nuts, plantain bananas, tubers like yams, sweet potatoes, suya packs, Nigerian drinks and beverages. Ointments like Robb and Aboniki, this is your perfect nostalgic corner shop. For those who prefer their West African dishes ready-made, the shop provides a cooking service as well as preparing meals for events. I have the feeling this outfit would be a better replacement for that lackadaisically useless restaurant. The ladies were humorous, pleasant and nice, on getting back to my hotel, I defrosted my jollof rice, added some stew and downed it with a can of Afrimalt, I must be tipping the scales on the wrong side of zero. The matter I write about today should be a salutary lesson to anyone who has power, influence, authority, means or privilege and is tempted to use that as a means to exploit those over whom we can wield it. Iyabo Olatunji was a 29-year old secretary working for a local government authority in Nigeria when she was persuaded by the Adewakuns to leave her job in Nigeria for to the UK to serve as a nanny to their two young children. Iyabo as a young teenager was a house-girl servant to an earlier generation Adewakun family in Nigeria, this would indicate she was already known to them and there was some trust already established to persuade her to seek a new fortune in the UK. 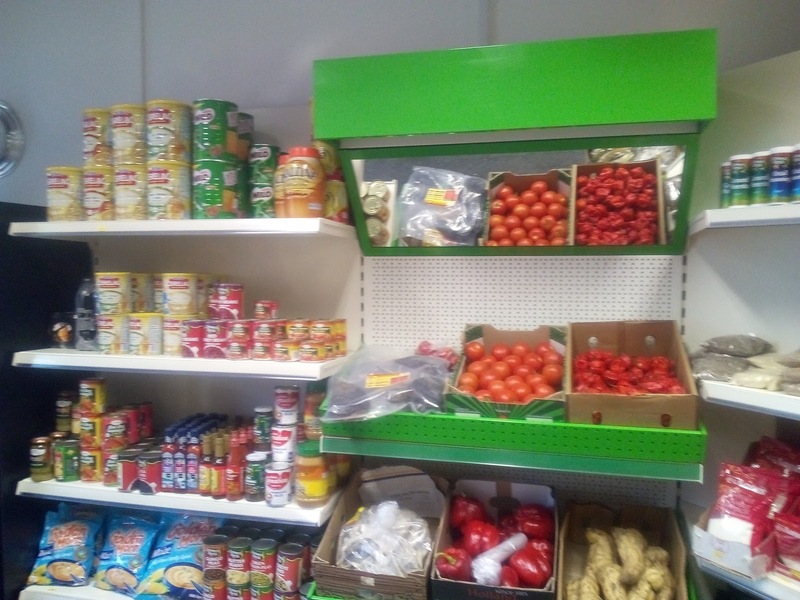 Mr. Abimbola Adewakun is a nurse and his wife, Ayodeji Adewakun is a medical doctor, through a contract of employment, they engaged Iyabo Olatunji for a salary of £450 a month working for 6 days a week. She came to replace a Hungarian au-pair who left a week after Iyabo Olatunji arrived in the UK. With the help of a family friend, with nothing to go to, Iyabo Olatunji escaped the intolerable employ of the Adewakuns in June 2009. Sadly, it took ages for the wheels of justice to start turning, during which time Iyabo Olatunji’s status in the UK would have been under threat apart from other issues that might have resulted from her escaping from slavery. Her case was then referred to the Modern Slavery and Kidnap Unit of the Metropolitan Police by the Migrant Legal Action and in January 2015 both Abimbola and Ayodeji Adewakun were interviewed by the police. They were charged with trafficking for the purpose of exploitation in November 2015 and appeared in court in May 2017 where they were both found guilty of the charges. The Adewakuns were people of privilege and means who thought they were untouchable and unreproachable by virtue of Ayodeji’s professional standing as a doctor and Abimbola’s secured status in the UK. In their minds, Iyabo Olatunji was a nonentity, an insignificant person, a house-girl servant from a Nigerian backwater whose questionable status in the UK left her open to the exploitation they fully took advantage of. It would never have occurred to them that Iyabo Olatunji was first a person, and every person deserves to be treated with respect, with dignity, and with fairness regardless of your status in the UK. They had allowed their sense of entitlement to their own money which was being wasted on a Hungarian au-pair with rights to be beclouded with the possibility of exploiting a house-girl servant from Nigeria without any rights in the UK, living in the fear of deportation if she dared seek help from the authorities. How they must have miscalculated in their atrociously evil scheme. They are now being made to pay up and pay a very high price in reputation, status, and freedom. If they are anything but natural-born citizens of the United Kingdom, they risk being deported back to Nigeria in ignominy. They belittled and contemned Iyabo Olatunji, treated her as dirt and this has now washed up into their faces. However, there are lessons to be learnt from this unfortunate situation and they must be well learnt. · Anyone residing in the UK has rights to be treated as a person, a human being, with respect and dignity – regardless of their status in the UK. · If you bring a person over from the sub-continent to work for you, if you are not paying them a fair wage, you’re exploiting that person and the law frowns on every kind of exploitation. · If you know anyone who has employed someone through trafficking for the purpose of exploitation, you have a duty to inform the authorities about what is going on, failing that, let the employer know it is wrong and they should immediately make amends, failing that, help the employee escape to seek help from the authorities. · Do not let any abuse go unnoticed, unreported or unpunished. I take no joy in writing about Abimbola and Ayodeji Adewakun, but this kind of abuse happens a lot in Nigeria, that it has been imported into the UK is utterly reprehensible and must be excoriated in the strongest terms. Nowhere should people be exploited in this way, and if it takes going to jail in the UK to make that a lesson for everyone in the UK and abroad, that is a good thing. I put this situation down to greed and entitlement, it need not have happened, the seriousness of the matter is indicative of the fact that Ayodeji Adewakun has been suspended from practicing as a medical doctor as has her husband Abimbola Adewakun from practicing as a nurse in the UK. As the attached graphic indicates. His young soul fully looted. Until he made the headlines a few weeks ago, I had no idea who Dammy Krane was and I have not yet ventured a listening to his brand of entertainment. What I have been able to glean about him is, he is a somewhat successful musician. Dammy Krane, born Oyindamola Johnson Emmanuel is 25 and he apparently got a record deal at 20 but is not the reason for my blog today. On the 2nd of June 2017, Dammy Krane was arrested in Miami, Florida for having booked private jets with stolen credit cards, the company that was about to be defrauded then alerted the law and when they were about to board the flight of luxury, he was nabbed along with a Chukwuebuka Ilochonwu who apparently has an existing rap sheet of fraudulent activity. Now, Dammy Krane has protested his innocence and in keeping an open mind, I probably should hear him out. He released a YouTube video apologising for being caught up in this mess and thanked all who have supported him through this rotten ordeal. Now, Opa-Locka to the Miami International Airport (MIA) is just a 15-minute Uber ride costing about $20 and from MIA to Washington DC flying American Airlines one-way and non-stop is 2:37 hours at a cost of $82. Dammy Krane’s preferred mode of travel would have set him back $10,943, if he had the money in the bank, I cannot begrudge how he spends his hard-earned money. We need to develop an urgency of the mentality to tailor our need to show-off to the honestly acquired resources we have to dispose of, you do not have to apologise for being a hedonist given to crude and ostentatious displays of wealth in the vulgar assertion of your manhood. Everyman has a right to be highly fed and lowly taught. However, I know how on my decision to resettle in the UK in 1990, Danny Krane wasn’t even born then. Some Nigerians here before me had crashed the reserve of trust in Nigerians that you had to try twice as hard to be accepted as honest, truthful, qualified and able, all because of credit card fraud activities by people that included one of my close friends from secondary school. He went to prison for it and when he qualified as a lawyer, that blot on his record meant he could never practice law in the UK. He eventually had to return to Nigeria waving as it were, a clean slate and bill of honesty and integrity. I would think using the airport baggage check-in protocols, Dammy Krane only has to affirm, deny or plead ignorance to create enough reasonable doubt in the minds of the jury that he is being unjustly persecuted and prosecuted. Me: If it may please your lordship, I am appearing for the defendant who is in the dock and I am here to prove that he had nothing to do with this criminal activity. Me: [Looking towards Dammy Krane] Mr. Dammy Krane, can I call you Dammy? Dammy Krane (DK): That is fine by me. Me: Thank you. Now, tell the court, does the wallet belong to you? DK: I think so, it looks like one I bought for $15,000 a few months ago. Me: Do you recognise any of the contents of the wallet? DK: The dollar bills and the platinum credit cards are mine, those other ones with strange names I have no idea of. Me: One would assume you would know all the contents of your wallet, but I will give you the benefit of the doubt and I hope the jury would too. Did you at any time leave your wallet unattended where it could have been interfered with? DK: That is quite possible, my agent usually does all my business transactions and bookings, however, since I was going up to Washington D.C. for a few days, I picked it up from the ivory table in my penthouse suite on the morning of our travel none the wiser about it. Me: Did you at any time put any of the said stolen credit cards in your wallet, maybe not the seven, but at least one of them? DK: I do not recall doing any such thing. Me: Are you saying you did not notice your wallet was a bit weightier than before? DK: Music is my passion, I don’t do much on the money side of things, that is what I have an agent for. Me: So, tell the court who booked the Tap-Jets flight to Washington D.C. from Opa-Locka. DK: I think my agent did, I am not sure if he asked for my wallet, but when I was leaving my penthouse suite, I was under the impression that everything was sorted. Me: I recall Tap-Jets did ask that you present an alternative payment option because they had issues with your card. What happened there? DK: I simply thought they had misheard the credit card details so I just read out the details of another card and they did not say anything to me that the transaction did not go through. Me: Now, that is interesting, you mean they accepted your booking, sent you a confirmation and then ensnared you with a police bust at the airport? DK: Yes, that is the case, I am still quivering at their underhand tactics, all they should done was tell me they had issues with my payment and I would have made good the arrangement. I am not that kind of person, I was brought up in a God-fearing home where my parents imbibed in me the dint of hard work, honesty, integrity, and responsibility. I would never have been involved in this racket, I am a successful musician with a thriving career. Me: Indeed, I see that, it is so unfortunate that you have been a victim of entrapment by unscrupulous businesses as Tap-Jets. That will be all for now. Judge: The defendant may step down and the court is adjourned until 9:00 AM tomorrow morning. In view of my questions, how would there not be some reasonable doubt as to Dammy Krane’s culpability in this criminal enterprise?. It would take a Houdini of an attorney acting out a Wallender tight-rope walk over the Niagara Falls in a Force 10 gale to get Dammy Krane off the indictments against him. Seriously, who does Dammy Krane think he is fooling? We had a wonderful evening together, friends and strangers about to be friends, and then it was time to go home. They had come a long way and we set off to the station. There were two bicycles, that is what they apparently rode on to visit as we made for the station. It was late, we had to be quick. On getting to the station, I was in charge of one of the bicycles and we had difficulty going through the gates or finding the right platform. In the process, we lost sight of each other and I was left with one of the strangers, in the confusion, as we ran up and down the escalators, one of us walked the way down an escalator as it was rolling up, I could not do that with a bicycle. We finally found our platform, two trains leaving at the same time, for Japan. I got on the train and found a seat as the stranger did beside me, only to be disturbed by a hawker who through the whole journey was selling snake-oil remedies using the context of Japanese fables of old, nothing that I heard was worth parting with my hard-earned cash for. Meanwhile, the technology on the train could not be ignored, I could push a button, very much like the stopping bell of a bus, to initiate a bowel evacuation by wireless means, fascinating it was, that no one could tell who was filling the toilet with waste, it could really have been anyone else. Time and station stops late into the night, we got to last stop and alighted. Then it seemed our none of our other company made any of the trains, they were stuck somewhere incomprehensible as we spoke on the phone. I thought I could ride the bicycle back home when I realised I had left it on the train, the train that already left the station taking the staff with it. The other trains were pulling out that I just could not summon the courage to tell my friend that I had lost her bicycle. The matter of getting home from Japan became a pressing issue, I had to get a taxi, the first shop had unhelpful people who pretended to offered a service of indifference and mockery, they did not care. When I found the cab office, the faces all looked familiar but I was not sure, the drivers unperturbed in every state of lackadaisical abandon until the controller was pointed out to me. He asked where I was going, my home was a place I had not been in 27 years, the cost I could not meet because I did not have enough money and as I was thinking of booking a hotel room for the night, I did not have to do any of that, I was saved the ordeal. For between Edinburgh where I am, the London Underground where we boarded trains for Japan, probably a suburb called Japan-town very much like Chinatown, a cab office that seemed to have Nigerian drivers to wanting a ride to Isolo in Lagos, Nigeria, I was caught in the landscape of vivid dreams, where distances are shortened and problems can be quite insurmountable. I had jolted out of my sleep as the background activity coming from my computer playing Channel 4 on BBC was broadcasting the Japan season ended. Phew! Beware they might be your hosts. My senses deigned it belonged to someone. Of the dead, we became as slaves. This morning as I got to work, my phone rang and at the other end of the line was a voice I could not make out. A name and my memory went into a tailspin, I was trying to remember a quinquennial period of my life that ended just a few days over 36 years ago and my recall was not recalling much. Apparently, one of the most enterprising of my secondary schoolmates, and I mean that in every way, he drove his own vehicle to school, but was not given a parking space within the school walls. He had set up a WhatsApp group and invited the class of 1981 to join. I was added to the group and very few could remember who I was. Now, that I think of it, apart from my sadness at the way the Parents and Teachers Association of my secondary school treated my class in the summer of 1980, I have hardly written about my secondary school life. Yet, it is not without event and adventure. One other thing is I have not necessarily kept contact with the closest friends I made in secondary school, from the scoundrel to the evasive, the fleeting contacts we made afterward only showed how divergent our lives had become. The common strain that brought us together was kids born abroad and with another bedwetters, but that did not beyond school materialise into friendships. It is strange that in a conversation with my dad some time ago, he noted that I had not cultivated friendships with my secondary school mates. Then I think of friendships I have tried to rekindle from my primary school days and other friendships that have lasted a lifetime from my post-secondary school days. There are issues that seem to set my secondary school relationships apart and I do believe the time has come to begin to document those parts of my history. Then again, I have acquaintances I made in secondary school who have indeed become friends, not only that, I have made friends with their relations too, who in some cases have married into relations of mine. However, this collision of the shadows of the past with the intricate and delicate balance of my present brings some interesting areas of complex and somewhat strained conversation. We all make assumptions about the lives of others following a particular trajectory when in reality, that is rarely the case. I have to tackle the very extant and pertinent question, “How are you and your family?”. Indeed, I have woken up in a jolt from the nightmare of dreaming I had a wife and two children. The thoughts even in the dreams questioning how all this happened to me without my involvement. I was once integrated with a nuclear family until I was 10 before I was sent to boarding school, after that, the family was a nebulous mix of close and distant relations, many of whom I now hardly know, some have already passed on and others I relate to on Facebook. I have three half-brothers I have never met, one of whom is already a father. In my bowels, I have reached the age of grandfatherhood, I know this because one of my very close friends who is much younger than I am has been a grandfather for at least 5 years. Yet, I cannot say I do not have a family, rather, I do have a family, it is a large family of one. I never married, I have never had kids. To enter into much more detail about that would challenge the seemingly conservative disposition of some of the entrants into the WhatsApp group. Suffused with religious supplication and the grandiosity of prayerful incantations, the more liberal matters of a life less ordinary may not be understood, neither would I want to impose any of my worldviews into the Remo Secondary School (RSS) Class of 1981. My family is well, I am glad to reacquaint myself with you all, of all I can remember, we at least liked each other and there was rarely if ever, any hate or animosity between us. I look forward to recalling the wonderful memories of my early teenage years. I finished at 15, and I guess most if all are now over 50. For God and Fatherland was the motto of the school, I guess, I am not doing much for either today, on reflection, there is much to be said and much more to be forgiven. Roaming charges are being dropped within the EU from Thursday, the 15th of June 2017. You can carry your contractual tariffs and allowances abroad without incurring extra charges, these also cover your Pay-As-You-Go bundles. However, once outside the core allowances, the prices can suddenly go up. I remember returning home from a Spanish holiday in September 2007 to a phone bill of €1,420, though it did not really bother me, I thought being with the same company in different countries and being charged exorbitant rates was just outrageous. There are lots of benefits of being in the EU and I doubt when a closer look is made of #Brexit we would see any advantages for the UK apart from that obsession with freedom of movement. I dare say, that codified phrase that looks innocuous enough is more an appeal to our latent xenophobia. In the end, the politicians will suffer little consequence for #Brexit, they will swan off into retirement with eye-watering pension pots, just like Nigel Farage would, but the ordinary person will be affected. The pound is at its lowest for decades just as gambler-politicians alter and change our lives at a whim like the throw of the dice for their own egotistical and political ends. Whilst it lasts, let us roam and enjoy, the need for a dual-SIM phone might be obviated in the EU, I will find out when I travel next month. From what I can see in the Which article, it appears Three offers the best deal for UK customers travelling out, you cannot acquire a cheap contract in another country to exploit roaming in your home country. I am sure mobile phone companies would come up with ingenious ideas to make up for the loss of profits from roaming charges. For vanity, we must live. They must for another thing ask. After which he cursed and railed. Have me as I am or be gone with you. If you are uncomfortable in your skin. One vote; that is all it is, that one vote that you can only cast for yourself as one person, an individual, independent, inspired or instigated. You cannot cast a vote on behalf of your household, when you enter the voting booth, you alone, persuaded by truth or lies, passion or indifference, concern or apathy, duty or routine to exercise a right that much blood has been shed for over centuries. That amazing right of self-determination. Yet, you also can decide not to exercise that right to vote, leave it to others to decide your fate or fortune, where you have sight you can choose to be blind, where you have hearing you can choose to be deaf, where you have a voice you can choose to be silent. It is just one vote, but each one vote taken together constitutes a majority for the person who wins against the other who might have won if others who chose not to vote did decide to vote. It is one vote, the doorway to policy that can shape and alter the future for a country, for a people, for a lifetime and more pertinently for each and every citizen, the ones who voted, the ones who didn’t vote, the ones who cannot vote and the yet unborn who will access this world in the circumstances created by that vote. We can choose to vote as informed people, checking out what is promised against what is possible, reviewing the record of incumbency and projecting that over the possibility that they might or might not have new ideas or we can choose to vote persuaded of soundbite and rhetoric, platitudes and talking points, mantras and slogans, empty boasts that tingle the ears but mean nothing in reality. We have the choice of ignorance and if we boldly embrace it, our folly lays before us. This cohort of ‘can vote – won’t vote’ people can make the difference in the kind of government we elect, clipping the wings of the tyrannical using the dividends of democracy to pursue an agenda that only serves the interest of the few. We are all affected when we vote and we are all affected when some of us do not vote. In the 2015 General Election, I was about to travel to South Africa when the election was called, I was fortunate enough to have ample time to plan to vote that I was able to avail myself of the opportunity of a postal vote, which I did. I would have like to have a more streamlined process of applying for a postal vote, but the system appears to be a voter suppression scheme that does not lend itself easily to that option, this time around. Working out of Edinburgh I could have let my opportunity to vote pass, it is just one vote, but my one vote is valuable, it is my sight, my hearing, my voice and my full participation in our democracy – the government of the people, by the people, for the people. I will not let some people decide for me what I can also get involved in and decide for myself too. It comes at a cost of time, resources and strength, and if you believe in participatory democracy, you will support this view. I am taking a train to Manchester tonight to arrive home just before midnight, I will be up first thing on Thursday, thankful for the people manning the polling stations from 7:00 AM to vote and then I will be catching a flight to Edinburgh to arrive at work just around 10:00 AM. That is the plan and I am looking forward to being fully part of this democratic privilege. It is one vote, one vote from me, one vote from you, all votes taken together become the key to our future, if we choose wisely, we would have a bright future ahead, if we don’t, the prospects are bleak and the pains we suffer today would just be the beginning of a future of more pain and agony. Have you seen nurses at food banks and the homeless on our streets? Those are results of failed policy. If we are to have a United Kingdom that works for everyone, then it is our duty to go out and cast that vote. On Thursday the 8th of June 2017, the polling stations are open from 7:00 AM to 10:00 PM, change the future by voting tomorrow.